Sometimes diplomacy makes for strange bedfellows. In this case, very strange bedfellows. 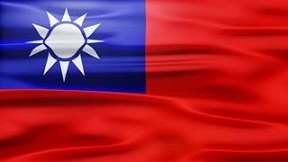 Taiwan, also called the Republic of China, maintains diplomatic relations with only 17 countries in the whole world. Among these nations is Nicaragua. Recently, Nicaragua has reaffirmed its official diplomatic relations with Taiwan. This comes after El Salvador switched official relations from Taiwan to China. Before I say more, I should explain what the conflict is between China and Taiwan. Since the end of the Chinese Civil War (1946-1949), both Taiwan and China have been fighting each other for diplomatic relations with any and all other countries. In this case, Taiwan has been losing considerable ground. Now it has come to the point where almost all countries recognize China. Taiwan, unlike China, is a democratic state with free elections, freedom of the press and speech, freedom of religion, and gives its citizens the right to travel as they please. China is the exact opposite. The strange part of this story is that Nicaragua is more like China than Taiwan. Elections in Nicaragua are a sham, there is no freedom of speech or the press, and the current president of Nicaragua, Daniel Ortega, is a dictator who allows NO opposition. One of the reasons why Nicaragua maintains relations with Taiwan is because Taiwan provides generous aid packages with no real strings attached. This is not the case with China. Whatever the Nicaraguan government may desperately need, they do not want to become dependent on China. The Nicaraguan government has seen the debt trap China has set for many countries, and it is clear that Nicaraguan President Ortega does not want to fall into it. But the next question in this is how long can this relationship between a democratic state like Taiwan and a dictatorship like Nicaragua can go on?